Supporting you to fulfill your dreams! Thank you for taking time to drop by. I know you’re busy juggling a 101 things, trying to cram as much as possible into each day with barely a thought for your own needs. Being hot, crazy, overwhelmed and exhausted. Each day being ‘Groundhog Day’. Not having the time or the energy to do the things you love that bring you joy, laughter and companionship. I am the author of Amazon No. 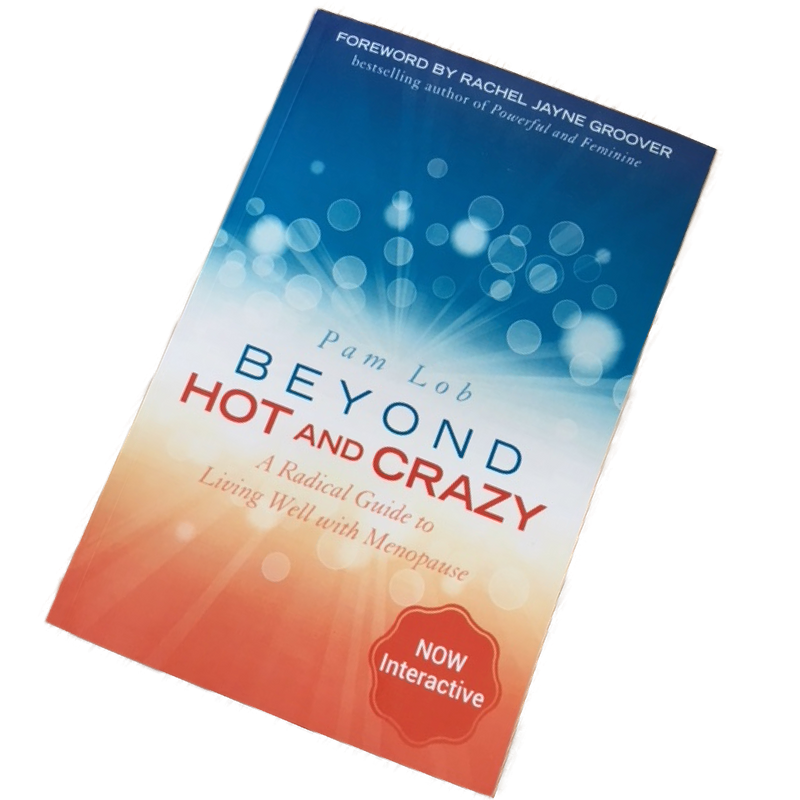 1 Bestseller: Beyond Hot and Crazy: A Radical Guide to Living Well with Menopause and co-author of Procrastination Begone: 11 Ways to SPARK Your Motivation & Light Up Your Business. In addition, I am an international speaker and have appeared on stage and radio in the UK, USA, and Australia. If you are looking for a speaker on health, transformation, or feminine connection please contact me. I’ve had my own share of ups and downs which include my own chronic health issues, feeling hot and crazy from the treatments and surgical menopause. As if this was not enough my husband was diagnosed with Leukaemia and died after a years battle. I had to deal with my grief whilst supporting my two children through their loss and being a single parent. But it has taught me what really matters! ” I lived, I loved, I mattered”. So I’m here to help, support and inspire you to become connected to your unique self, awake to the joys of life, feel attractive, vibrant, sassy and healthy. Come and join me in living life to the full. As a qualified nurse, holistic hypnotherapist, counsellor and coach, with a degree in psychology, along with years of personal development and life experience I know what works and what doesn’t. I am not your usual health practitioner who takes a one-size-fits-all approach. Along with my training as an Art of Feminine Presence Teacher I have a unique combination of strategies and secrets to share with you, so you can quickly start living the life you’ve always dreamed of. I’m committed to guide, motivate and support you in having a healthy joyful, passionate life and great relationships. It’s vital to nurture your relationship with yourself, so you have the energy to be there for others. How would life be different if you felt connected, grateful and in love with the whole of you, including your mind, body emotions, energy and intuition and then could take that out into the world around you. How would it be to feel heard, seen, confident and have the impact you desire? Contact me NOW for more information on how we can work together to make your life an exciting and fulfilling experience. Don’t Wait Any Longer. Start Transforming your health and your life!